When a loved one is arrested, you need trusted advice on the entire legal process. With more than 30 years providing bail bonds services for residents of Maryland and Pennsylvania, Jim Frank Bail Bonds has earned the trust of our clients by offering honest advice. We have relationships with attorneys in the area and can make a recommendation based on your situation. If you are planning on using a public defender, realize that public defenders can be assigned many cases per day. They may have dozens of cases at any given time, which means they can’t give as much time or attention to individual cases as a private attorney. Local – you want your lawyer to be as close as possible. Experienced – you don’t want to risk a case by hiring someone who only has a few years of trial experience. Winning Record – how often does the attorney win cases? 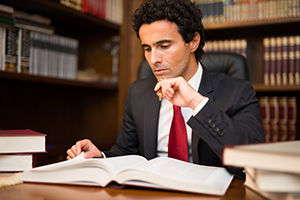 Hiring a lawyer will greatly help you with your case. A lawyer will look out for your interests, defend you and your character, and offer important legal advice. If you can’t afford a private attorney but do not meet the requirements to have a public defender, many law firms and organizations can provide lawyers free or at low costs. Contact the Maryland State Bar Association or a local bar association to ask for assistance. Jim Frank Bail Bonds offers professional process services. While law enforcement officials can be used to serve papers, a professional process server is often a better option. A process server is the person who delivers (known as “serving”) legal documents that let people know when they are being summoned for court. Law enforcement officers have limits to how much time they can spend on process servicing, and will only knock on your door during their shift. The professional process servers at Jim Frank Bail Bonds work days, nights, and weekends to finish the task. We only charge a fee once the task is complete. If you need notary services for depositions, certifications, oaths, affidavits, court documents, powers of attorney, or acknowledgments, we offer this service as an added value to our clients. Please call first for availability. For process servicing, notary services, or advice on hiring a lawyer, contact us today at 301-416-8148 for Maryland and 717-977-3215 for Pennsylvania.